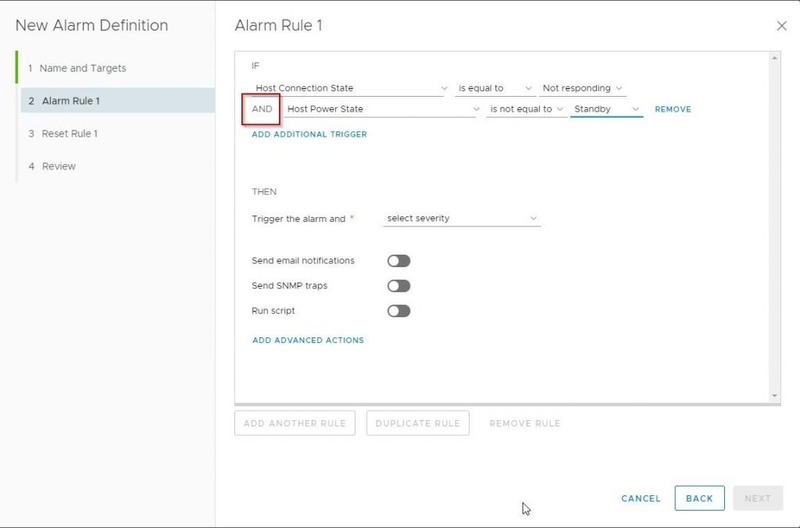 Today I was changing a Alarm definition at a customer, and after adding a email recipient to the alarm, it sent did not work as expected. The alarm I was working on was “Host connection status”, this alarm has 2 triggers, “Host connection status” and “Host Power status”. 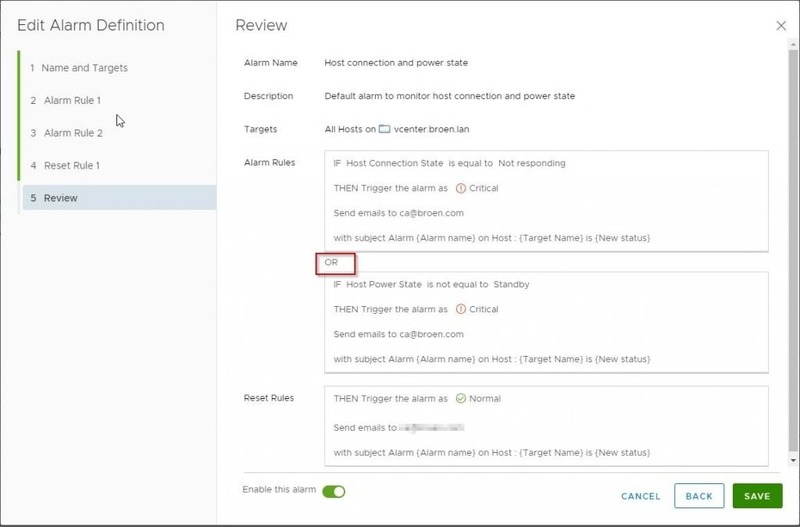 I did the changes i the new HTML6 Client, on a vCenter 6.7 Update 1b, and after adding the email recipient to the alarm, all servers show the alarm as active, with is not correct. After some investigation, i found that when doing the changes in the HTML5 client, the Alarm changes from an AND rule to an OR rule. The rule looks like this in the Flash Web Client, before editing, and it says “All” which is an “AND” rule. After editing in the HTML5 client is look like this. And in the Flash Web Client i says “ANY”, no screenshot. I tried to create an “AND” rule in the HTML5 client, that looked like this. After saving this rule, and looking at the Result, it’s a “OR” rule. 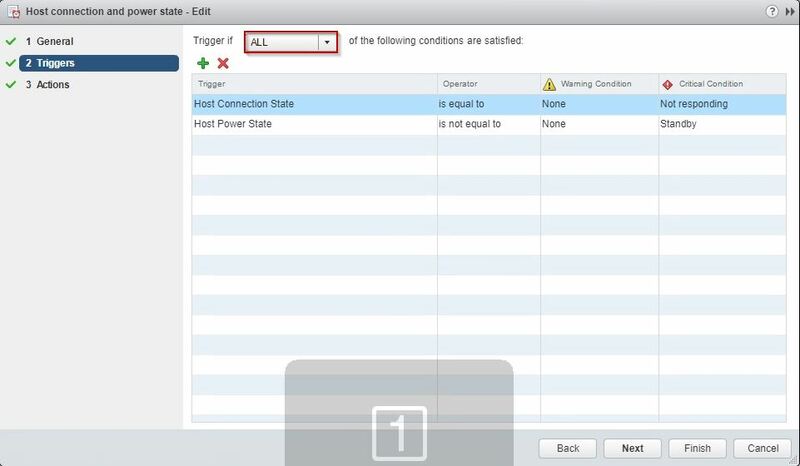 HTML5 Client, vCenter, VMware HTML5, vCenter, VMware. permalink.